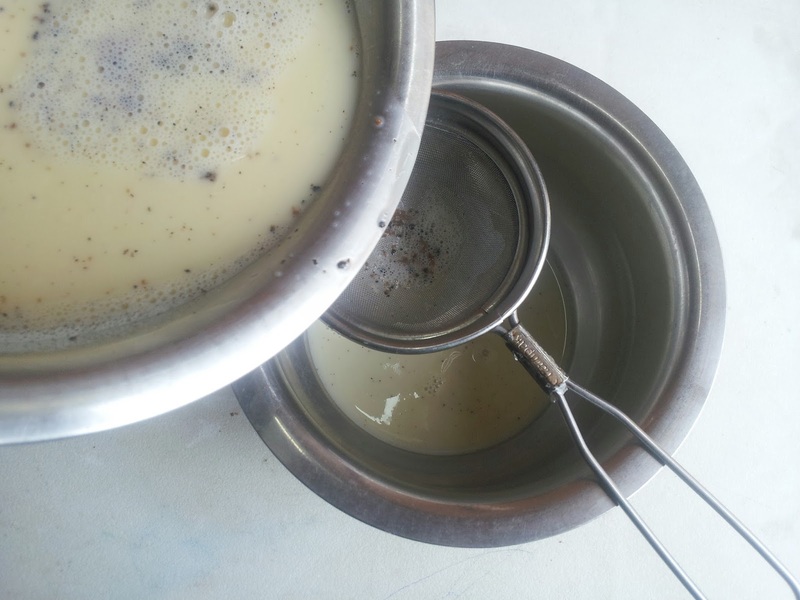 This is a very simple recipe with basic ingredients - milk, egg, sugar and vanilla. 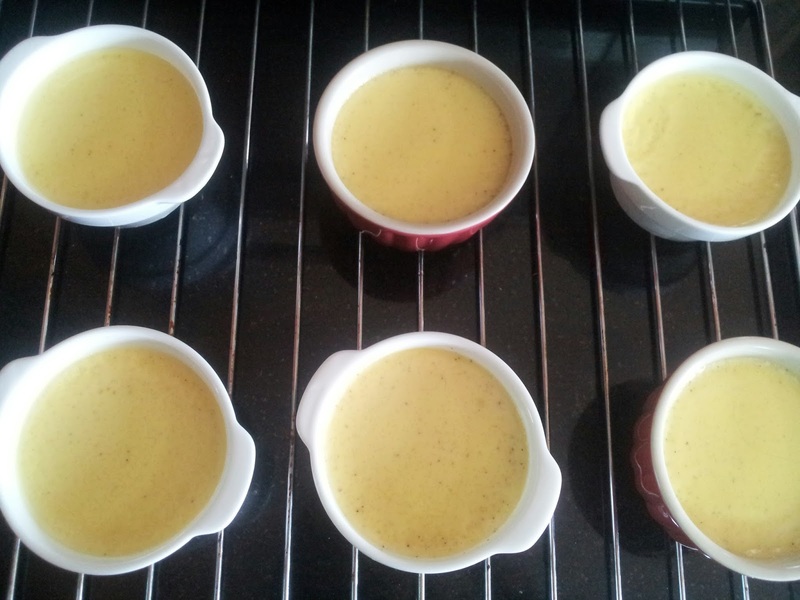 But when done correctly, you will have one outstanding velvety smooth custard with a lovely caramel on top!!! 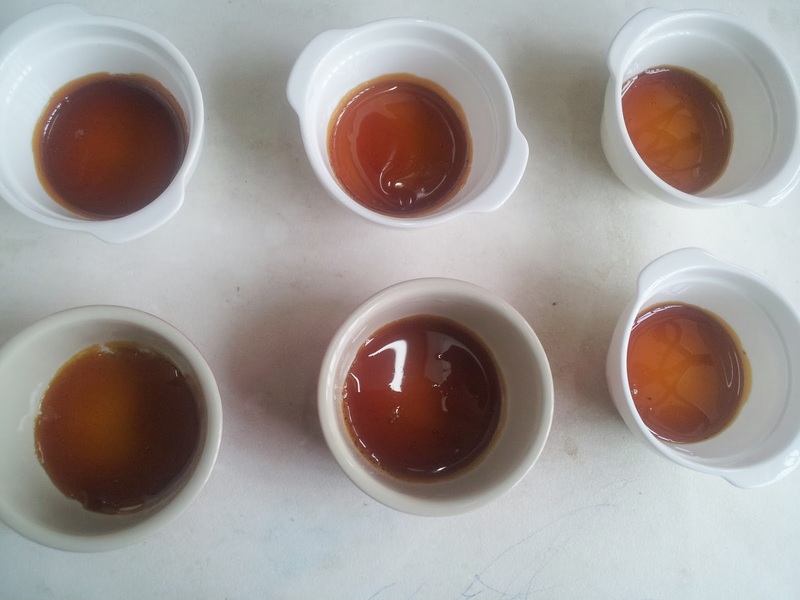 You need a deep caramel colour, but be careful not to burn it. 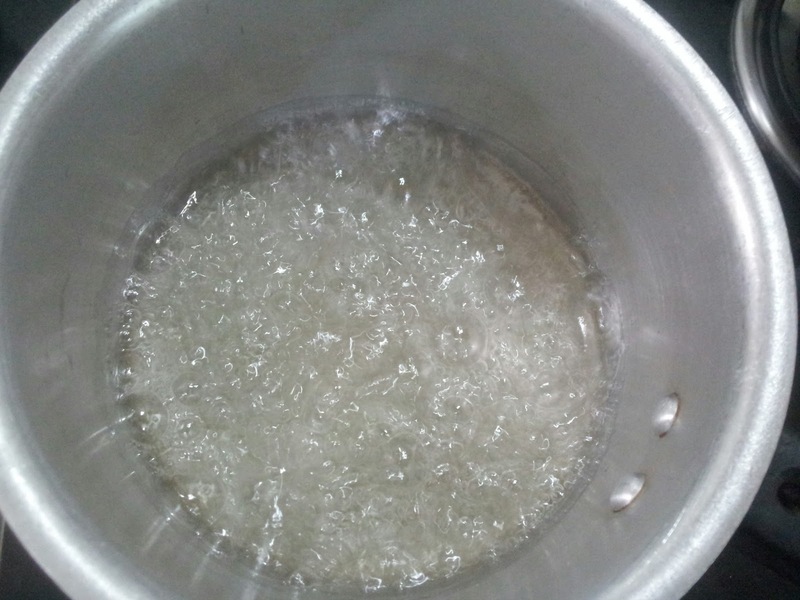 So, do watch carefully while making caramel. 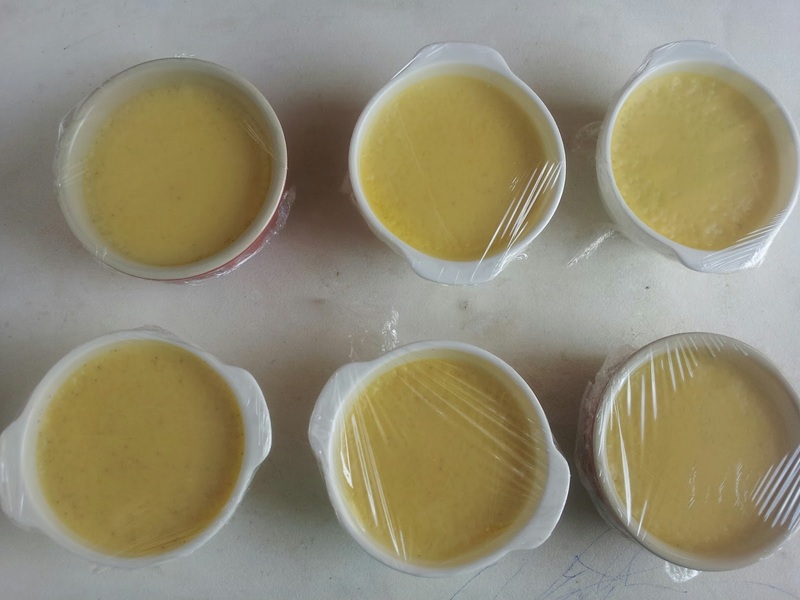 We don't want the custards to puff up and rise, we just need to set the custard, so don't aerate the eggs by beating in a lot of air. And finally, please! please! please!!! DO NOT OVER BAKE. Take it out of the oven when the top is set and centre still jiggles. 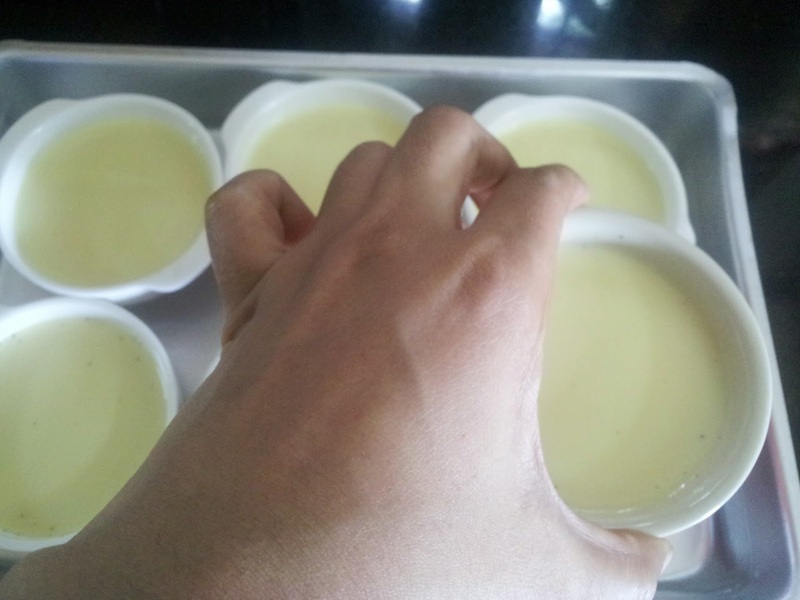 It will continue to cook as it cools down and set perfectly to a smooth, melt-in-mouth custard!!! 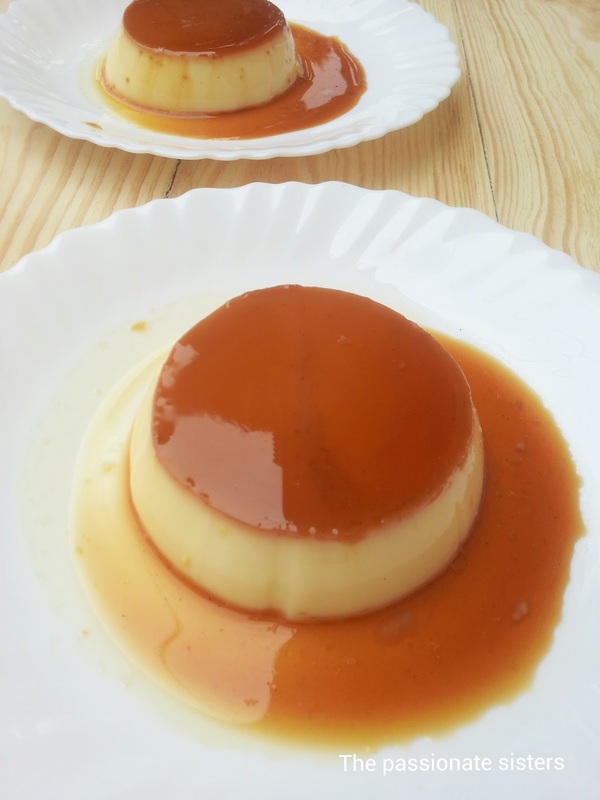 Velvety smooth vanilla creme custard with a luscious caramel on top! 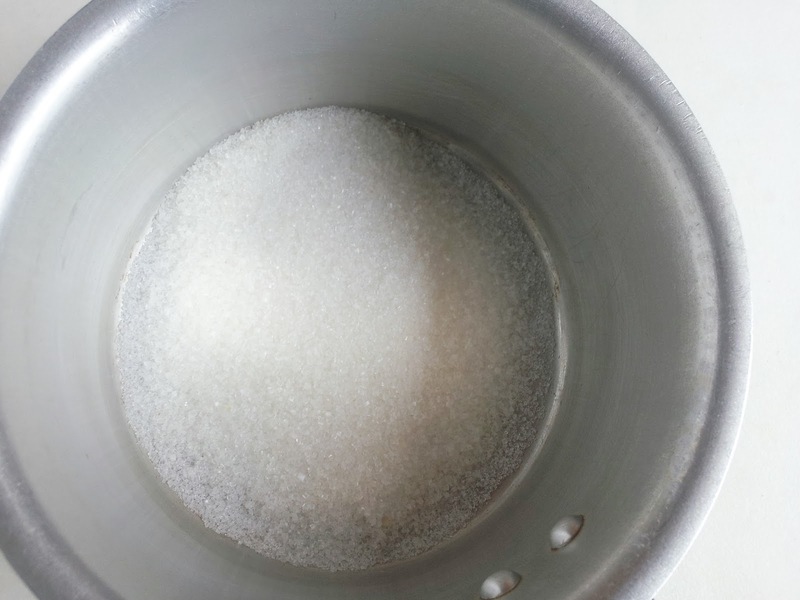 1) Take 1/2 cup sugar in a sauce pan. Add water to it and bring it to a boil. 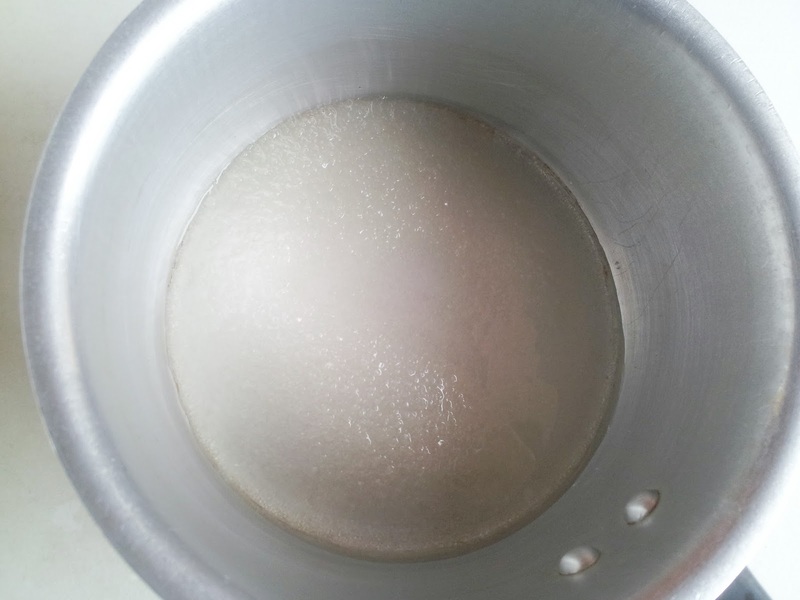 After the sugar melts, reduce to medium flame. 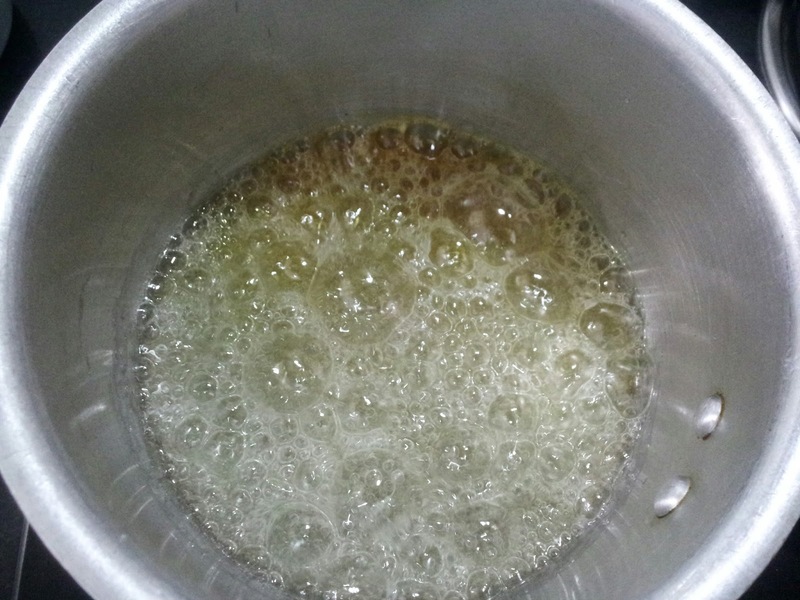 2) After a few minutes, the sugar will start to caramelize around the edges. 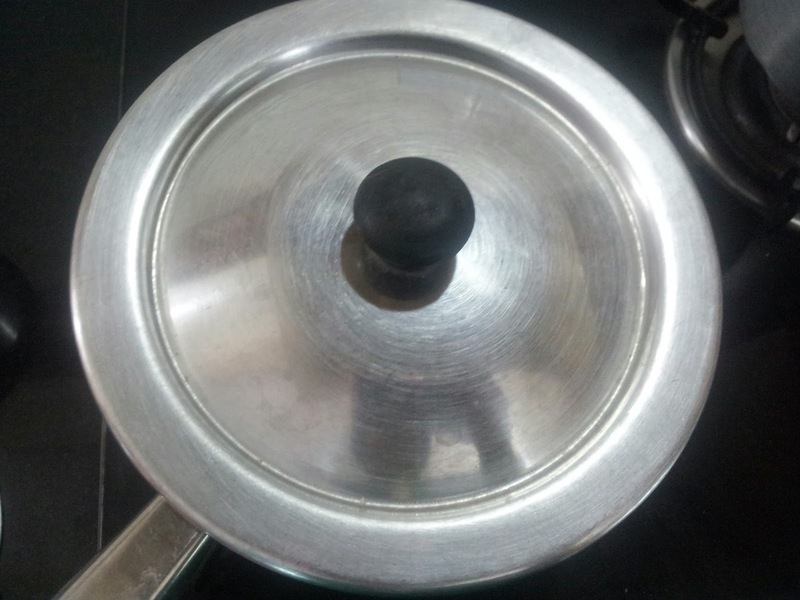 You can slowly stir the pan for even colouring, but do not stir! 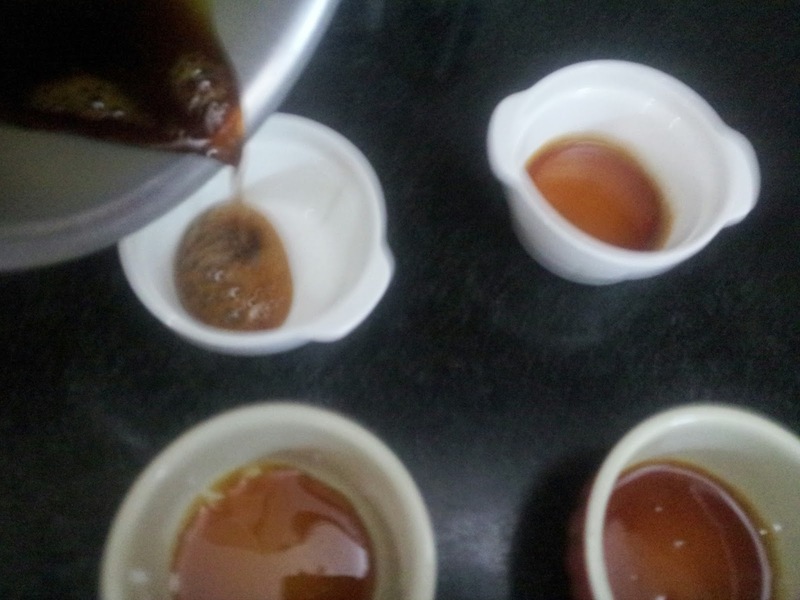 When the colour reaches a deep golden brown, remove from the heat and pour the hot caramel on the ramekins. 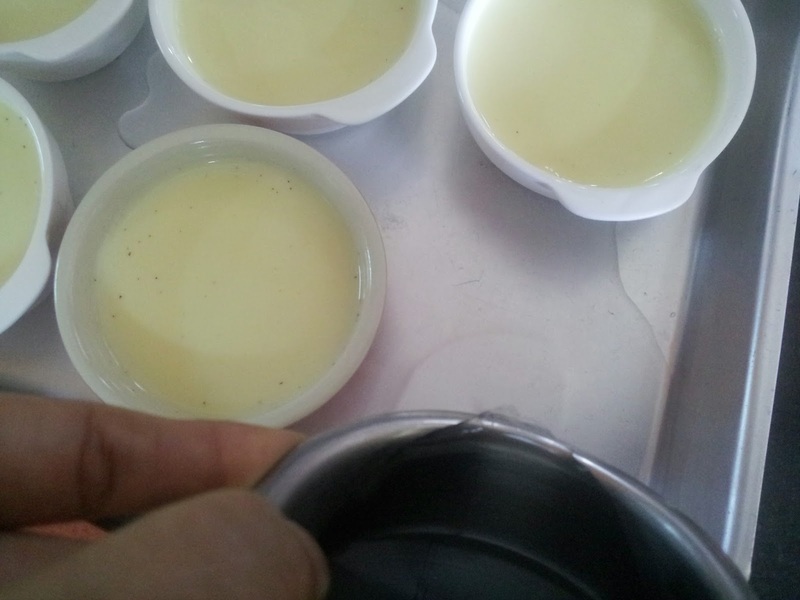 3) Swirl the ramekins to cover the base completely ( Be very careful as they are very very hot ) Holding one end of the vanilla bean, split it in half with the tip of a sharp knife and scrape out the seeds. 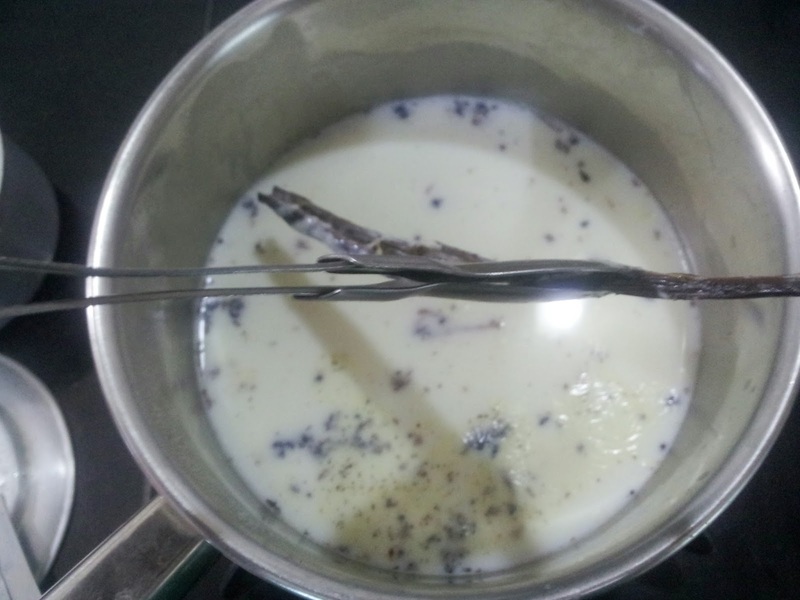 4) Add the vanilla seeds and the bean to the milk and heat it gently in low flame till you can see bubbles around the edges( do not let it boil ) Take it off the heat. 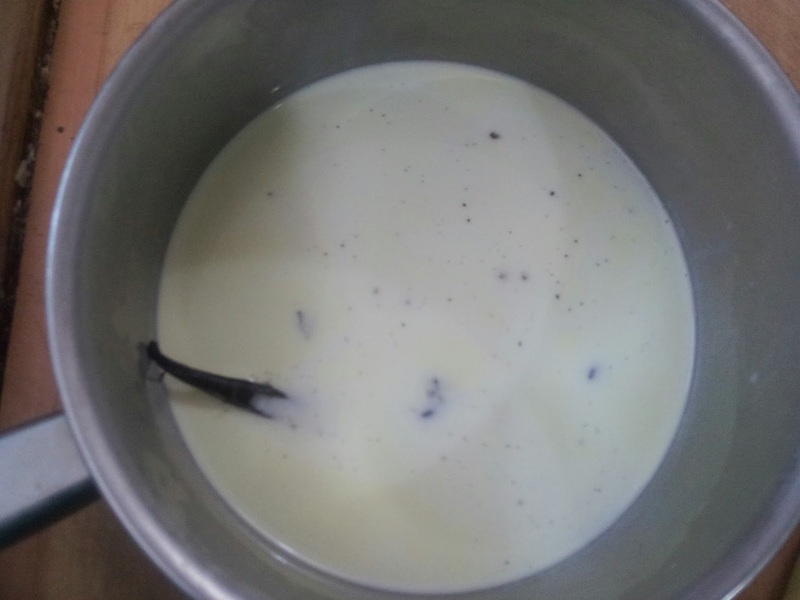 Close it with a lid and set it aside for 5 minutes to infuse all the vanilla flavour. 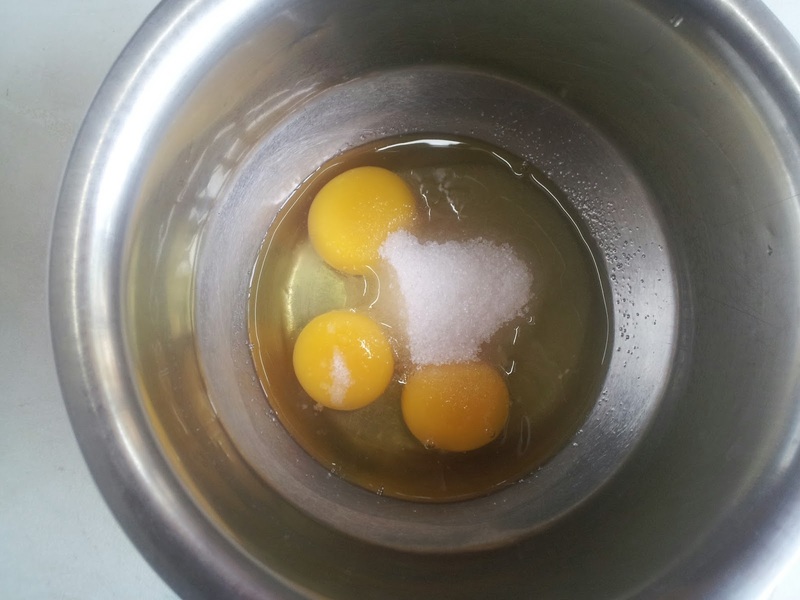 Take 3 eggs and 1/4 cup sugar in a separate bowl. 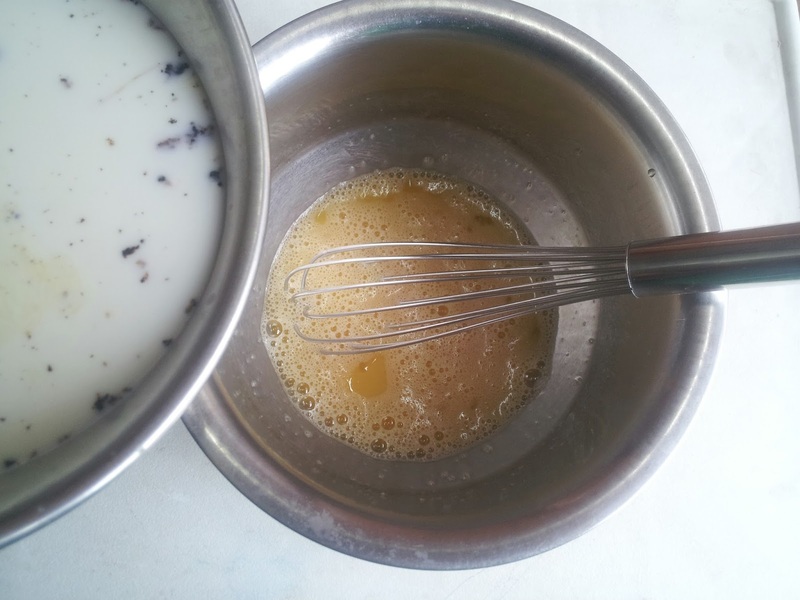 5) Mix the sugar and eggs with a whisk ( No need to beat in hard, as you don't want the custard to rise ) remove the vanilla bean from the milk. 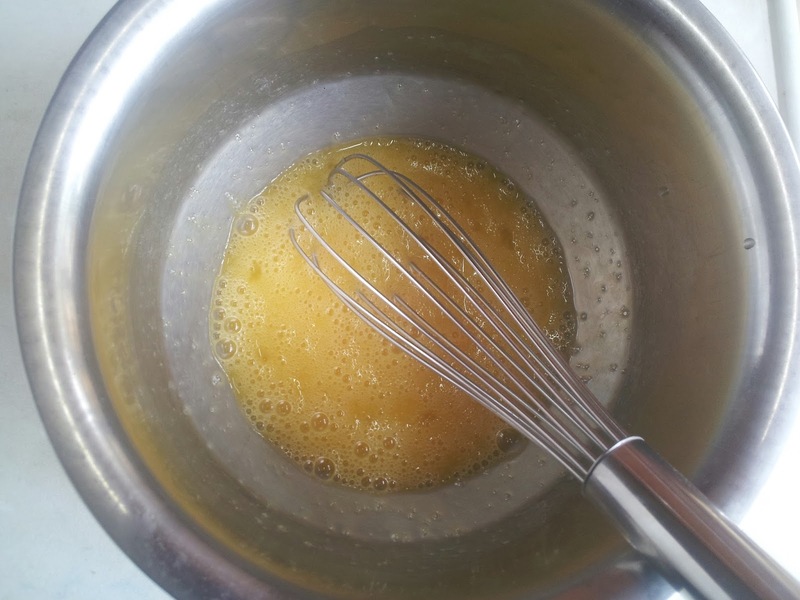 Now slowly add the milk mixture to the egg mixture, stirring constantly. 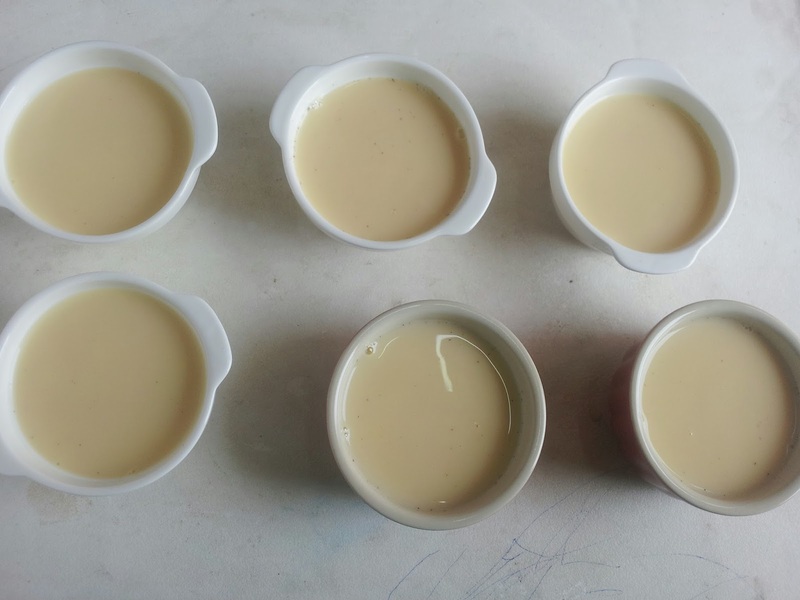 6) Strain the mixture and then divide it equally among the prepared ramekins. 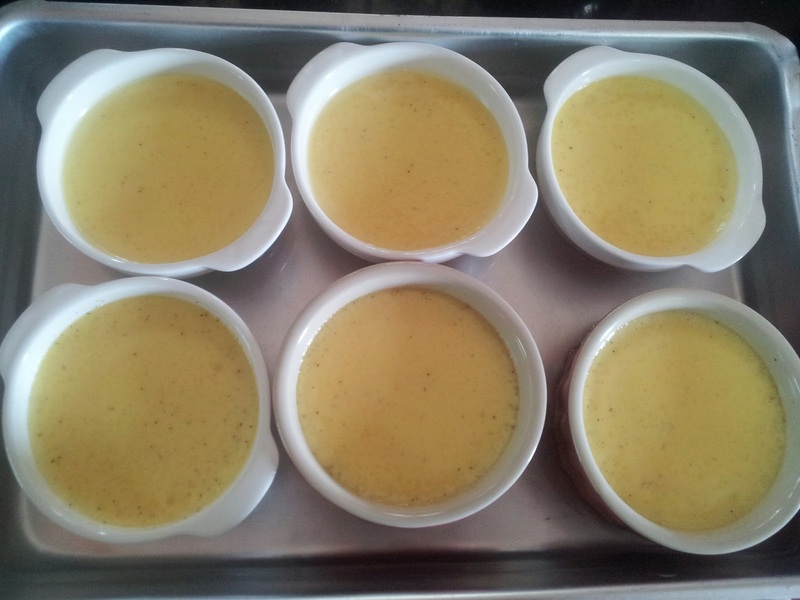 7) Place 5 ramekins in a large baking pan. Add enough boiling water ( add it along the corner of the pan so that water doesn't splatter over the ramekins ) till it comes about halfway up the sides of the ramekins. 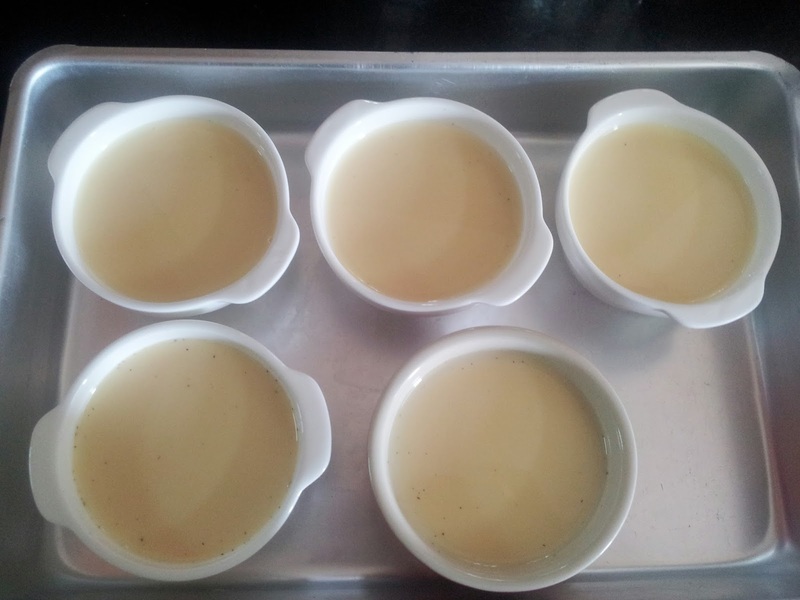 Finally place the 6th ramekin carefully in the pan. 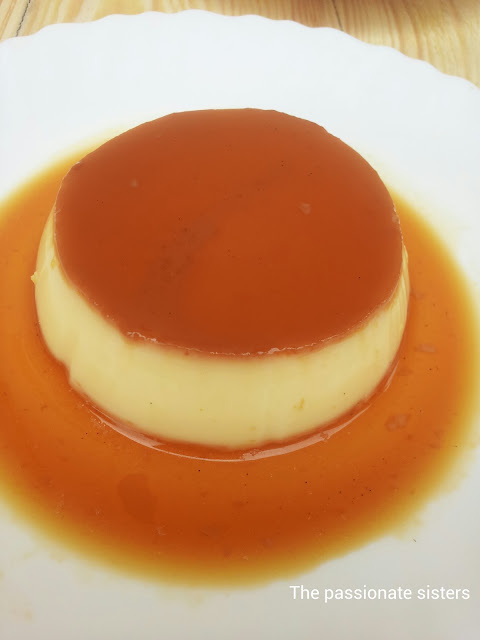 That's it, there you have it - the amazing velvety smooth vanilla creme custard with a luscious caramel on top!!! 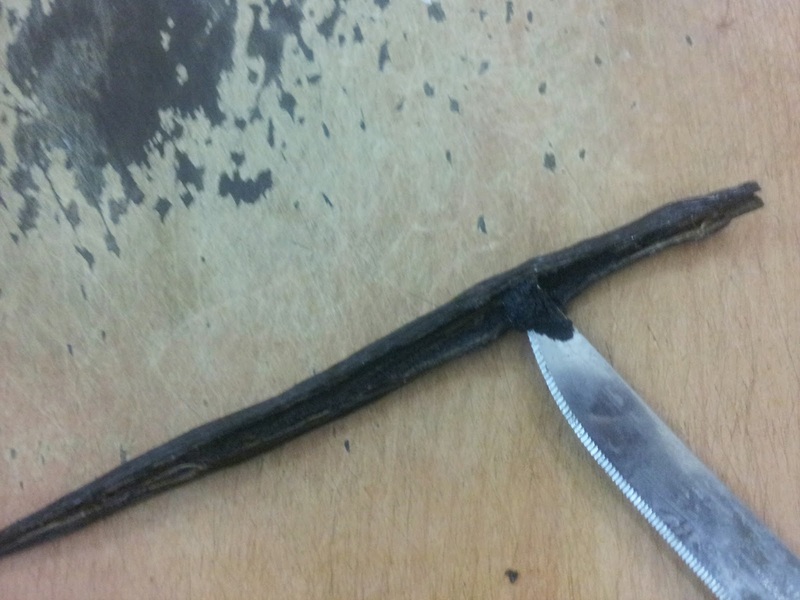 1) You can substitute the vanilla bean with 1 and 1/2 tsp vanilla extract. 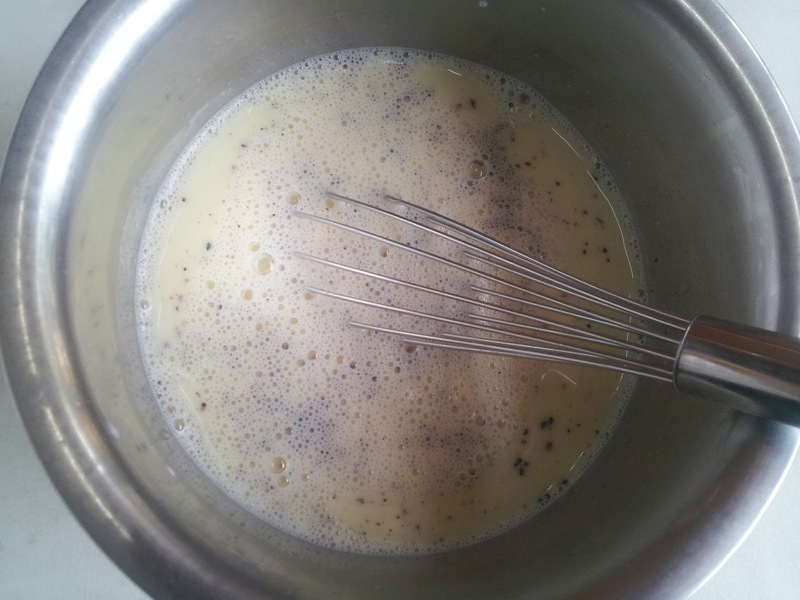 Just add it finally after mixing the milk and egg mixture. 2) For serving the creme caramel, run a knife around the edge of the ramekin and place a plate over it. 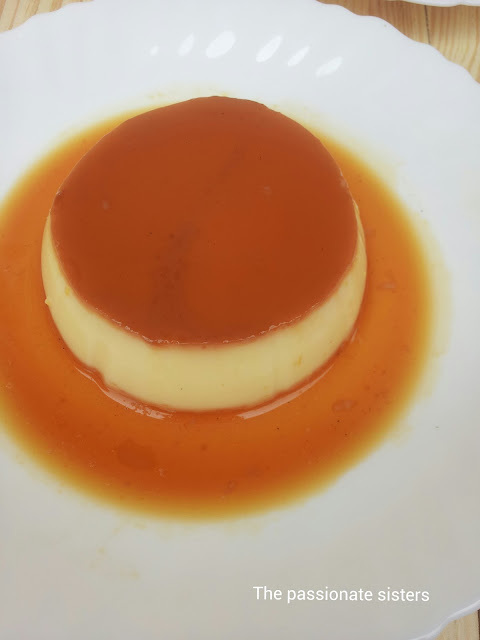 Carefully invert it over the plate and finally lift the ramekin to feast your eyes....The custard will just slide out with caramel drizzling all over it!!! 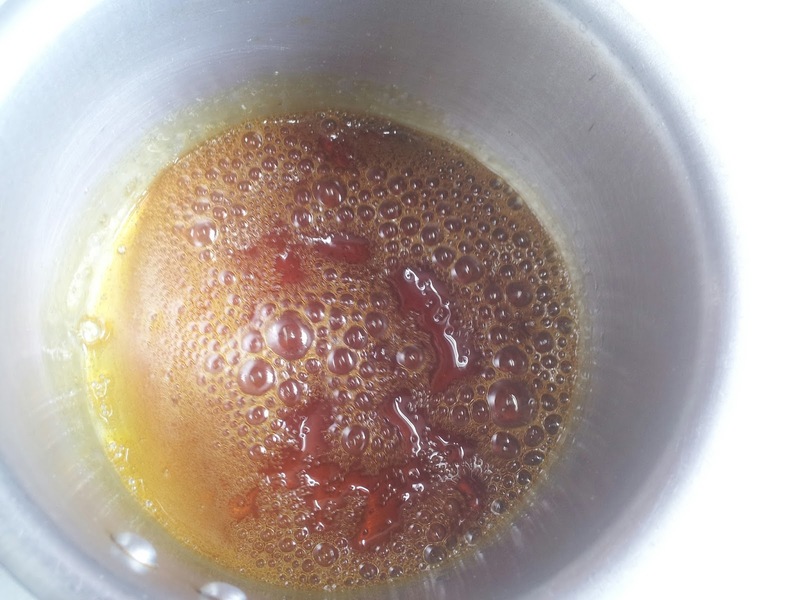 3) Burnt caramel will yield a bitter taste so do watch carefully, while making caramel. 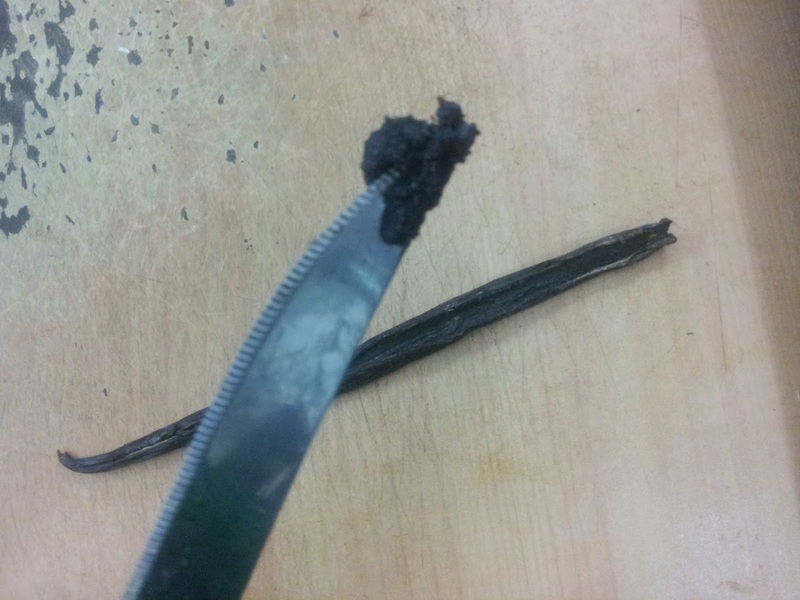 4) Total time does not include the cooling time. My all time fav. So good. 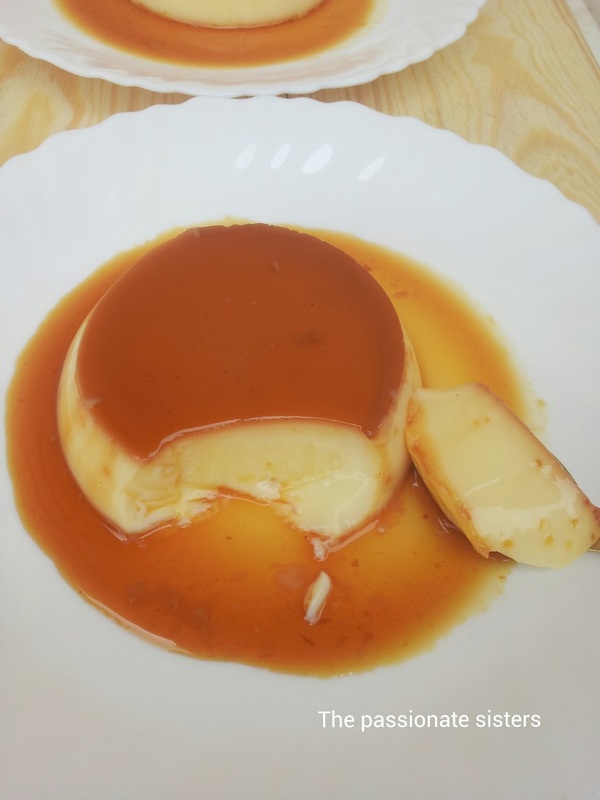 caramel looks perfect .... .
Creme caramel looks so rich an classic! Lovely Share! This is one of my all time favourite desserts!!...Yummilicious!! I don't have ramekin. So can i use glassware or microwave safe cup instead of ramekin??? You can use glass cups. Just make sure it is oven safe. I have even seen this tried in a regular cake baking aluminium pan too. I don't have a microwave, so I am not sure of microwave safe cup. Hope this helps. All the photos and contents in this blog are copyright registered ©The Passionate Sisters. Powered by Blogger.